President-elect Donald Trump will visit a Carrier factory in Indianapolis that was saved by a deal he helped negotiate. The agreement saved more than 1,000 jobs Carrier had planned to move abroad. But even with the agreement, Carrier will still ship hundreds of jobs to Mexico, and there are concerns about the precedent the deal sets for other companies eyeing foreign labor. Mr. Trump’s cabinet choices are raising questions about his vows to tackle corruption in America’s financial mecca. 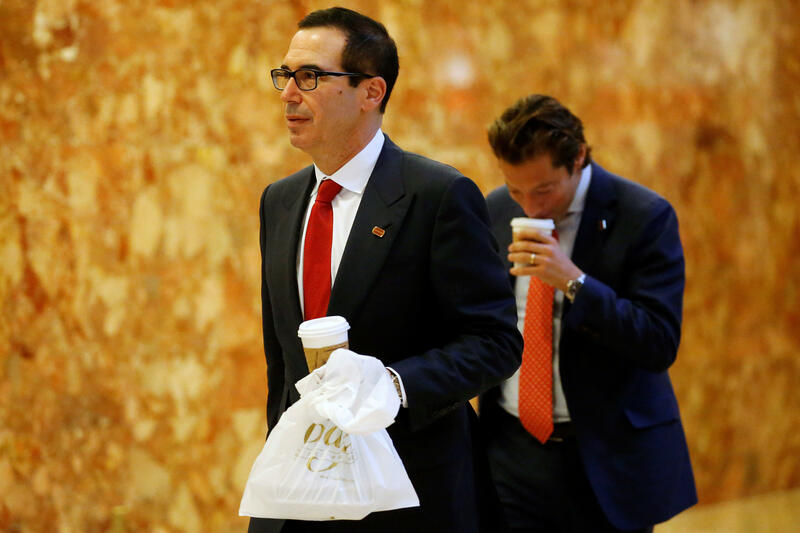 Do his choices of lifelong Wall Street financier Steve Mnuchin to lead the Treasury, and billionaire businessman Wilbur Ross to lead Commerce, signal a turning away from campaign attacks on Wall Street fat-cats? We continue our extraordinary look inside the U.S. prison camp at Guantanamo Bay by meeting some of the prisoners and their family members, and finding out how some reacted to Donald Trump’s election win. We also hear why the military says that, even without being formally charged with any crime, they need to stay locked up. First, Green Party candidate Jill Stein’s campaign said it needed $2.5 million to fund its three-state recount effort. Now she’s after $9.5 million. She’s already raised almost twice what she raised during the entire 2016 campaign, but her fundraising success raises big questions: where is that money going, and what happens to any left over? The Syrian regime, backed by Russia, has re-taken much of eastern Aleppo from rebels, but tens of thousands of civilians are caught in the crossfire. They are presented a dire decision: Stay in Aleppo and face the onslaught, or flee into the hands of the regime that has destroyed their homes. The value of the dollar is surging measured against other national currencies, boosted by hopes for stronger economic growth under the incoming Trump administration. We explain what is turbocharging the greenback, and what it means for U.S. consumers. OPEC finally did it. After years of fruitless discussion, the oil cartel agreed to a production cut aimed at lifting the price of crude. For Americans, however, the pact could mean higher gas prices and rising inflation. Here’s how the oil deal could affect the U.S. economy. “Sheriff of Wall Street” says he’ll stay on under Trump admin.